We have a proven track-record as immersive, experiential event producers for global brands and cultural organisations. Our breadth of experience as creative event-makers for brands like Hyundai, Muji and Discovery Channel means we deliver high-quality, commercially-primed projects on time and to budget. Our concepts are artistically-driven; our team of practicing artists and creatives is always tuned-in to new emerging movements, trends, styles and production techniques. We take a shared knowledge approach to our work; our placemaking practice informs our event-making projects. By drawing on all our resources, including the mastery of connecting with experiential audiences, we create full 360 degree strategies, from concept to delivery. The success and quality of the work we do is inspired and sustained by a unique group of artists, makers, producers and experts. These creative professionals enable us to generate strong, trailblazing ideas, and they also provide the means for us to turn inspiration into reality. Our extensive network of specialists and suppliers, from prop designers and choreographers to security specialists and digital experts, all help us bring brands to life, in real life. Our immersion in the UK’s creative industries is absolute. We are members of the Creative Industries Federation (CIF), as well as The Knowledge Quarter (KQ), two organisations dedicated to promoting creativity in the UK and beyond. 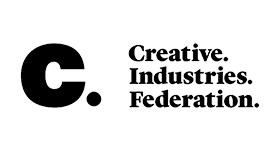 Being a member of CIF means we are part of a national movement that seeks to secure the advancement of UK creative industries. 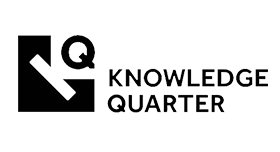 Meanwhile our association with KQ enables us to form part of a dynamic community of thinkers, designers, scholars, scientists and creative minds in London.